This giveaway will be open until Sunday September 30th at 12:01 am Eastern Standard Time and a winner will be announced later that day! It's hard to choose but I really love the cameos! I love all the rose rings! <3 them all, but my favorite might be the flower cameo. 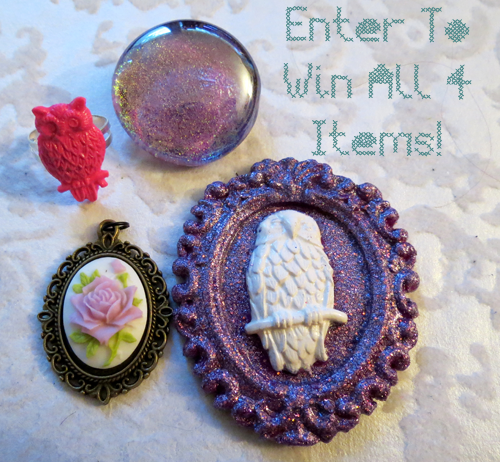 Lovely giveaway! I really love the skeleton cameos but out of the prizes...I love the galaxy pin and the glitter owl! I love the owl brooch - it's amazing!